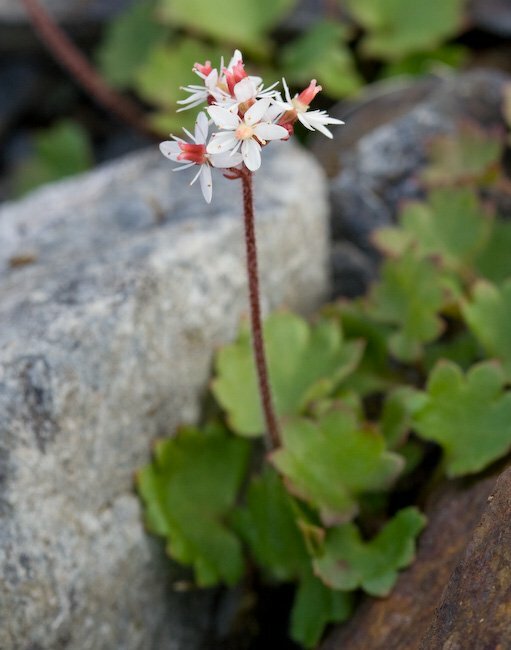 Several species of saxifrage seem to be quite happy above the treeline. 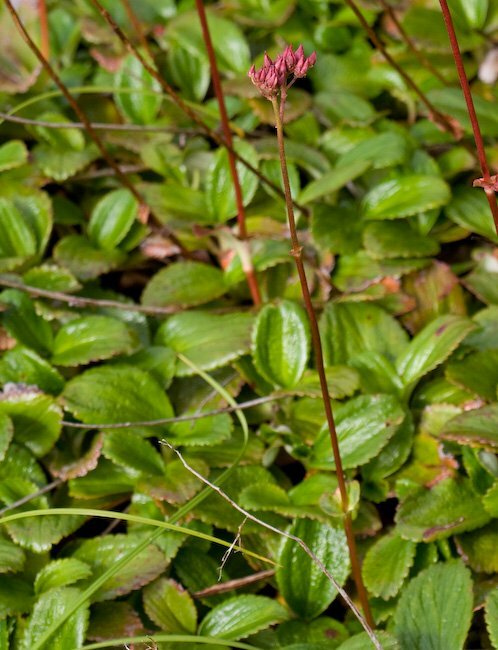 Some species were abundant (and still flowering) in the moist seeps, forming a lush rock garden along with other plants that grew there. 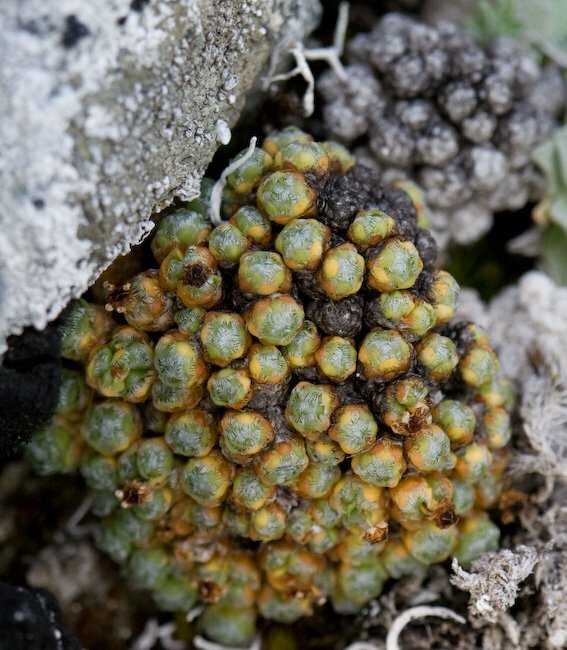 Other species were found in drier locations, tucked into small crevices on exposed ridges. 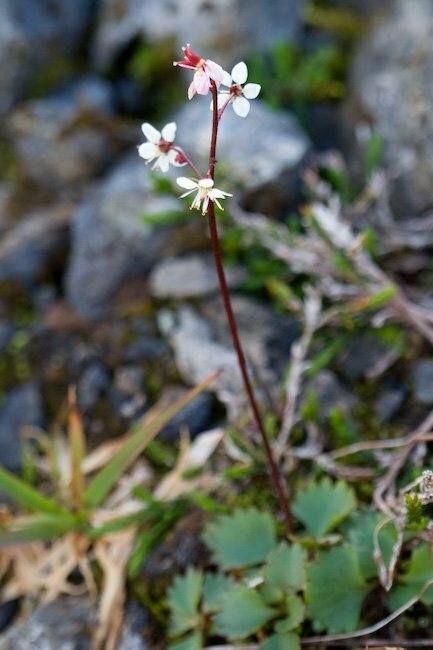 I definitely saw two new-to-me (on Baranof Island, anyway) species, and a third that I am uncertain about. 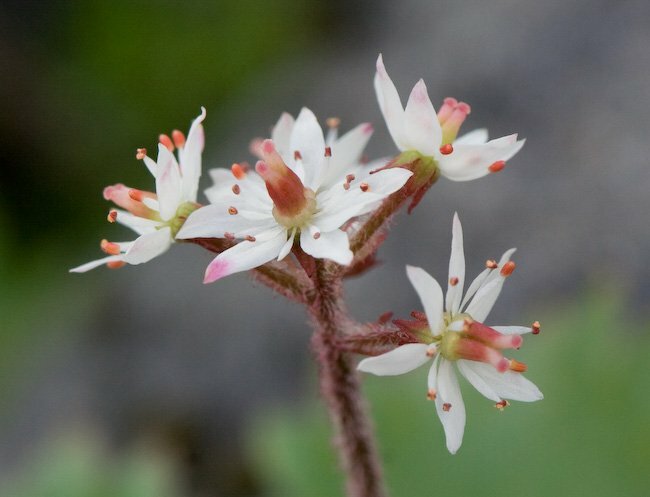 These two saxifrages (along with Leatherleaf Saxifrage, shown in the main photo for the post) I have seen and photographed previously on Starrigavan Ridge. They favored moist places. 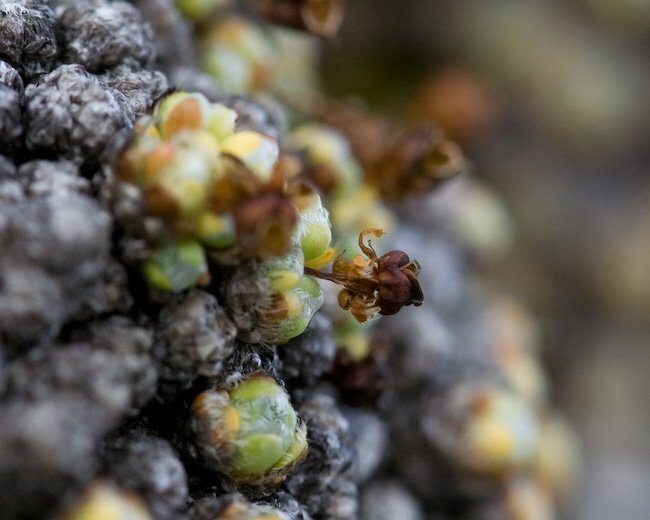 These photos are of the same plant. I haven’t been able to figure out what species it is, but that could just be a lack of appropriate knowledge on my part. To me it appears intermediate between S. nelsoniana and S. lyallii. The leaves do, anyway. I guess the stem and flowers do not look much different than S. nelsoniana. I would be more confident with this identification had I seen any flowers, but they were clearly well past blooming. 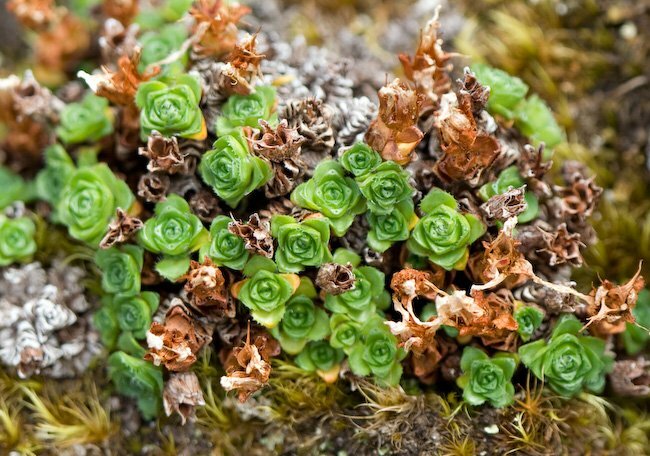 I have seen this plant before, but that was on Mt. Borah in Idaho. They were not exactly hard to find, so I am guessing they have been previously noted on Baranof Island, though I had not heard about it. 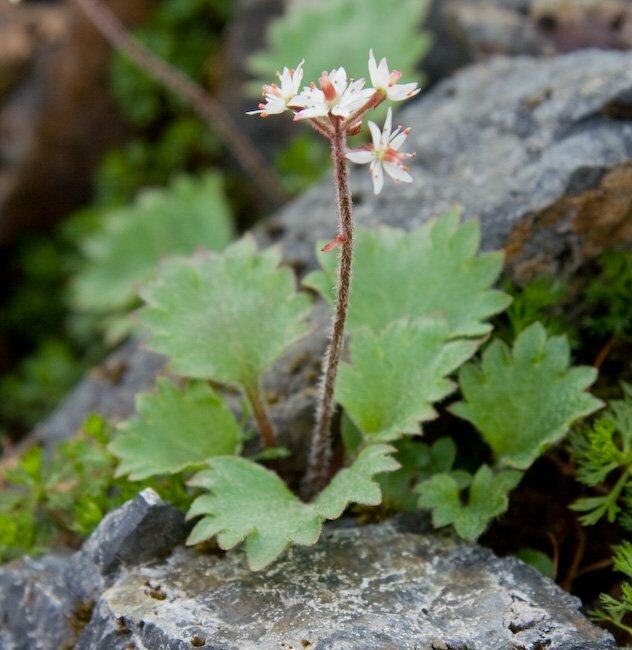 I found it mainly in fairly dry areas in the alpine. This plant was entirely new to me. When I first noticed it, I had no idea what it was. I only figured it out when I happened to see a line drawing in one of the floras I was looking through that seemed to match. It seems to have a pretty distinctive growth form, at least I have not seen anything quite like it before. I did see some evidence of past blooming, but clearly I missed its blooming time by quite a bit. I only found this growing on the highest portion of the ridge. It seemed to favor cracks and crevices on the east side of the summit ridge.